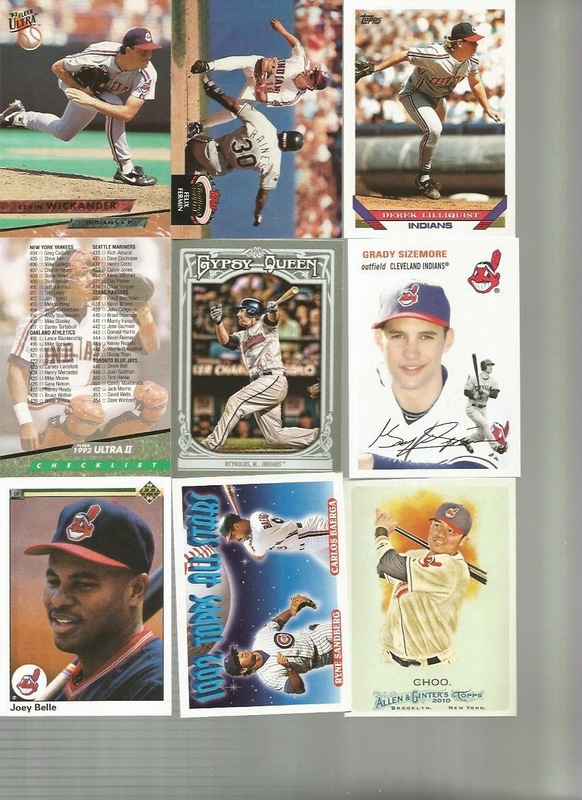 This is part 2 of 3 posts showcasing all the stacked Indians cards from the Hot Corner. 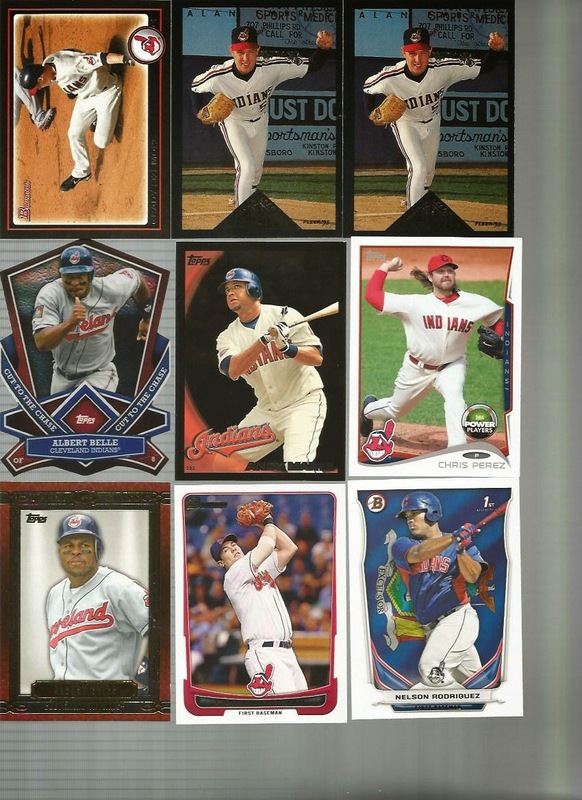 Check out that Albert Belle "Cut to the Chase" die cut! Very cool. I love the photos on some of these, and the artwork. Up in the left corner is the green foil I mentioned in the last post. 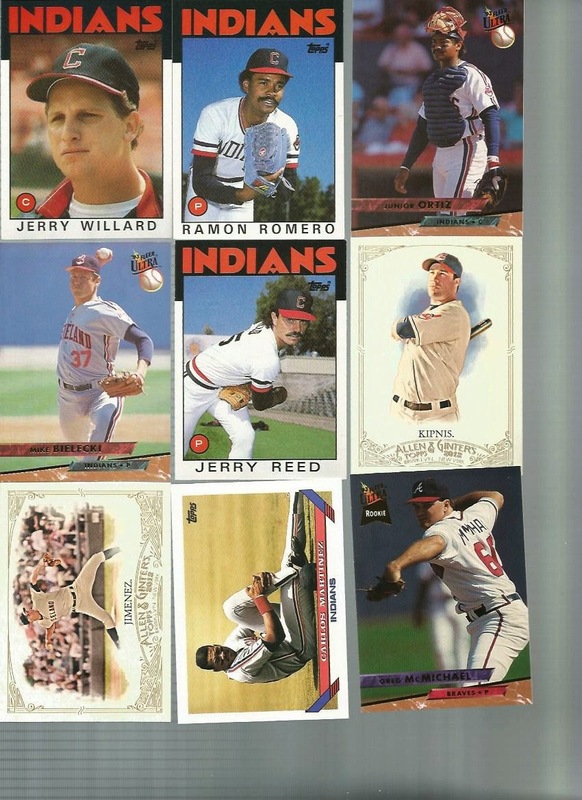 Fleer Ultra really took the whole "flaming ball" thing to heart, eh. The card in the middle (1981, what my brother and I called the "hat kind" due to the hat on the card) is one I've had in my collection since it came out. 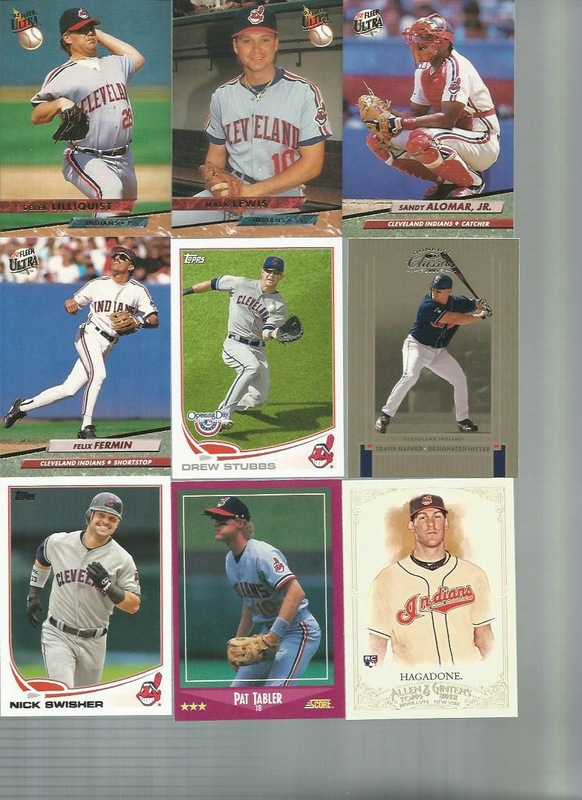 I opened a pack when I was a kid and kept it ever since. Well, I opened lots of packs, but that was in one of them. You know what I'm saying, right? That checklist always looks like he is drinking a Coke when i look at it. Anyone else seeing that? No? Just me? Okay. 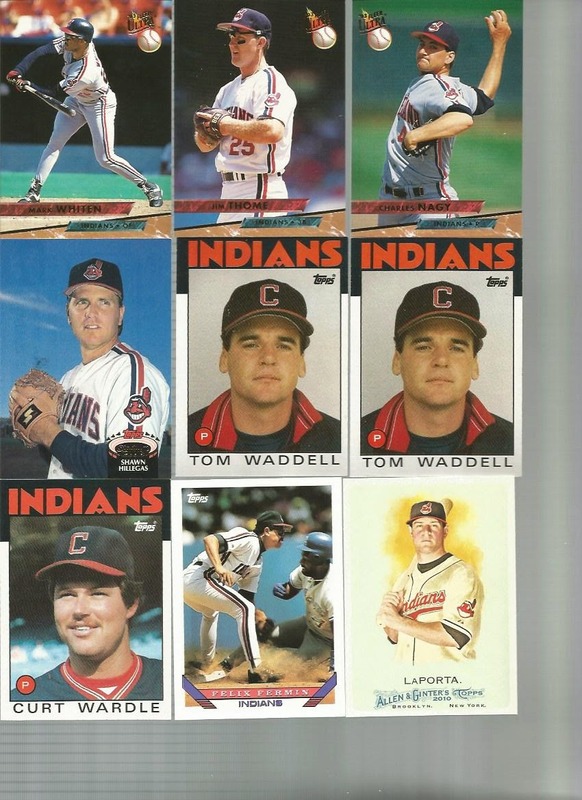 There were a LOT of Tom Waddell cards in these stacks. I'm not sure just what that means. 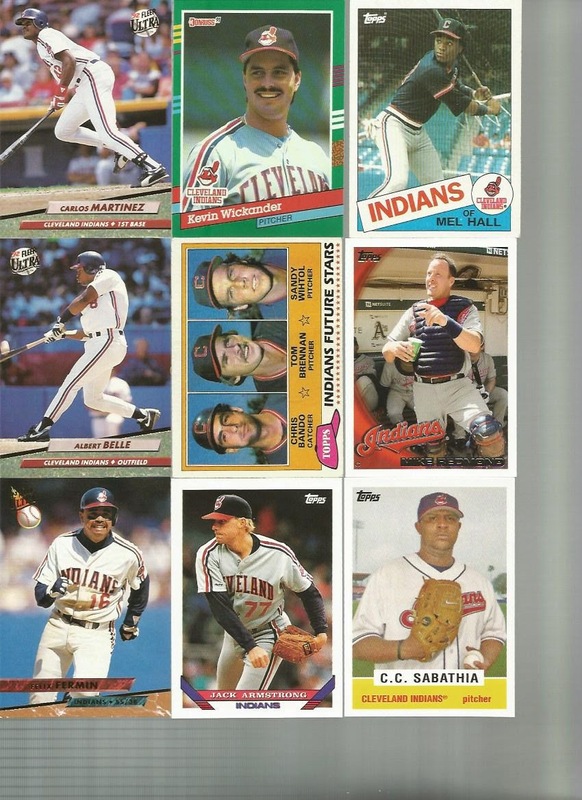 If I ever had a second baseball card made, I'd want the pose Martinez is sporting in the bottom center. You know, I don't think Mark Lewis aged a bit during his career. 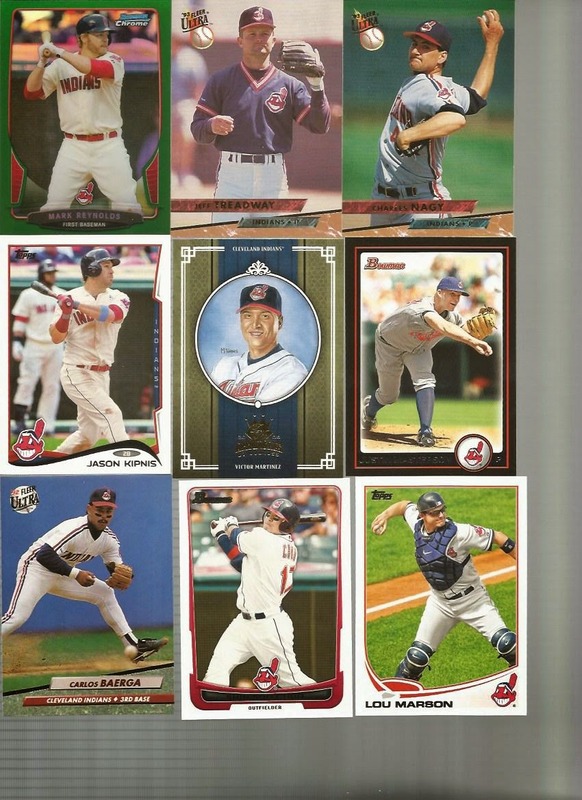 Swisher sure seems to be happy in his card. Thanks again, Hot Corner Cards for these cool Tribers!